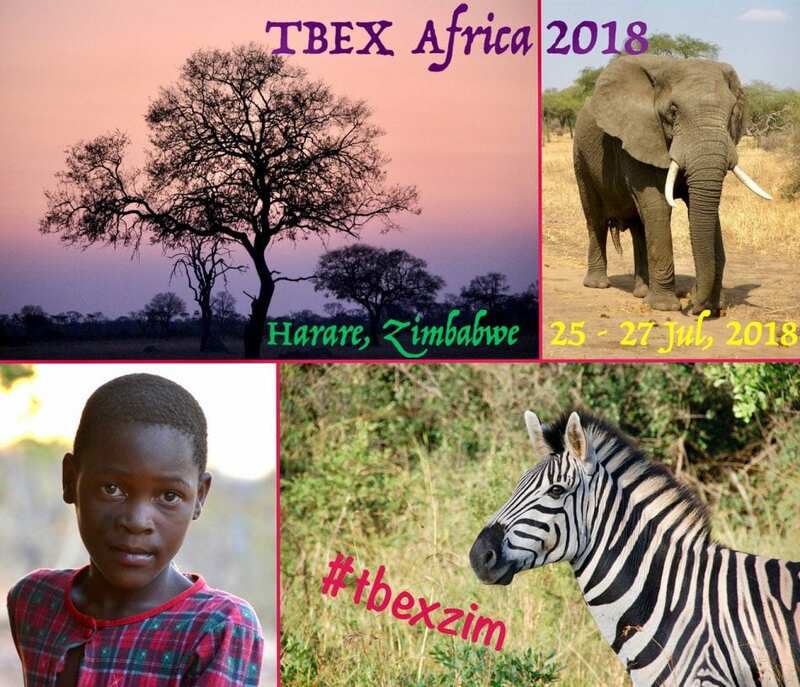 We have officially opened the call for speakers for TBEX Africa 2018 in Harare, Zimbabwe. We’re always on a search for interesting speakers from around the world for our events. So if you have never applied to speak at TBEX before, we encourage you to do that now for #tbexzim. We need speakers who are committed to sharing valuable, actionable information with the TBEX community, and to being a full participant at TBEX Africa 2018 If you would like to be a speaker for one of our Breakout Sessions, please read this information thoroughly before submitting a speaking proposal. Speakers should plan to arrive in Harare, Zimbabwe no later than July 25, 2018. We recommend that speakers who are also bloggers allow a few days before and after the conference dates to enjoy the pre- and post- tours and activities. We also encourage our conference speakers to apply for one of the Blogger FAM trips taking place after TBEX Africa 2018. Information about these opportunities will be announced soon. We have the most need for intermediate to advanced topics. The majority of our attendees are already familiar with the basics of travel blogging and social media strategies in the travel industry. They are sophisticated at creating content and running a business. They are interested in finding new ways to improve what they are doing, rather than looking for a primer or basic how-to. Our conference format focuses on streamlined topics, with a deeper focus on specific best practices and new breakthroughs. We have four categories of break out sessions, and your submission must fit into one of these categories. For Bloggers: Content (working on and improving our craft), Commerce (building strong businesses), and Community (building robust communities around our craft and business). We also offer content for Travel Industry Professionals in our TBEX Business tracks. We are looking for best practices and case studies in social media strategies and process, working with content creators, creating in house content, and integrating social media into overall brand marketing. Advanced sessions are for attendees who have mastered core competencies in a subject matter, have likely been blogging for some time, and have created a business that incorporates their blogging activities in some way. Advanced sessions are designed for bloggers who are looking to fine tune their business; a chance to discover one little thing that can tweak or improve on their overall success. Think of an advanced session as a training camp for Olympic athletes – attendees already know the information – your job is to help them find a new approach for using it. Demonstrating that you understand what an advanced session is will be a key component for consideration when we review submissions. To fill out the form, you will need basic biographical information, links to your social media accounts, a headshot, along with other specific information to help us understand your expertise in the subject area. List a minimum of 2-3 takeaways that someone would be able to implement shortly after returning home. Our goals are to provide attendees with specific and actionable items that you will share with your audience, rather than secret tips that you aren’t willing to reveal. Consider the best format and presentation style for your session. We can accommodate solo presentations, co-presentations, and panels. For presentations with multiple speakers, we prefer to enlist speakers from different blogs, businesses, etc., as this ideally provides a variety opinions and viewpoints on a topic. Keep in mind that we may suggest a co-presenter who we think can help round out the information. We expect speakers to submit a guest blog post for the TBEX blog, and to promote their participation at TBEX on their social and blog platforms. We are always looking for new speakers for our events who are excited to bring fresh, new ideas to our travel community. While it varies at each event, we typically have 40-50% first time speakers on our program. When you attend TBEX you will see some familiar faces on the stage – and you’ll also see a lot of faces new to the TBEX stage. Your session should not be a product pitch, or a promotional for your blog, company, or services. Promotion and buzz about your company will naturally flow from delivering a high quality session. Attendees complain – and loudly – about sessions that are self-promoting. We want the experience to be just as enjoyable for you as a speaker as it is for all of our attendees. If you have a situation that requires special handling, please let us know on your speaker form or at the time of confirmation. We demand great speakers at TBEX and we also want you to be successful. If you have questions or need assistance in this process, please ask. SUBMIT YOUR TBEX SPEAKER SUBMISSION FORM for #tbexzim HERE. SUBMISSION DEADLINE IS Friday, April 13, 2018 at midnight, PDT.